Although tagging is generally seen as the ugly face of graff, both by those outside and sometimes even within the graffiti subculture, it’s essentially graffiti in its purest form. Unfortunately there’s not too many magazines that focus purely on tags, street bombing, and filthy walls. So it’s really good to see a new mag out that unapologetically presents this sort of grime. This is the first issue of Gossenpost or to give its translation; ‘the Gutter Paper’. 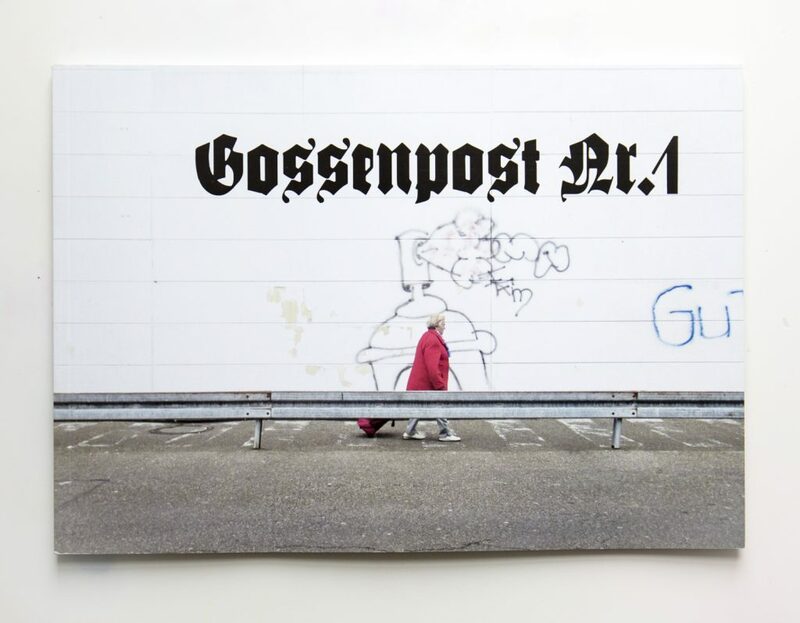 Gossenpost is dedicated to documenting the overlooked streets of Frankfurt (including a few nearby towns). This restriction to a local area is good because it really gives a flavour of the city and puts the graff into its context. The magazine methodically goes through a series of connected surfaces starting with a whole array of wiring cabinets. These nondescript boxes don’t seem to be as preciously maintained as they are where I live and so are a good place to find flyers, tags, bits of street-art and the odd throw-up. Later sections are sorted by colour such as red tags on white walls and various tags on brown, yellow or grey surfaces. 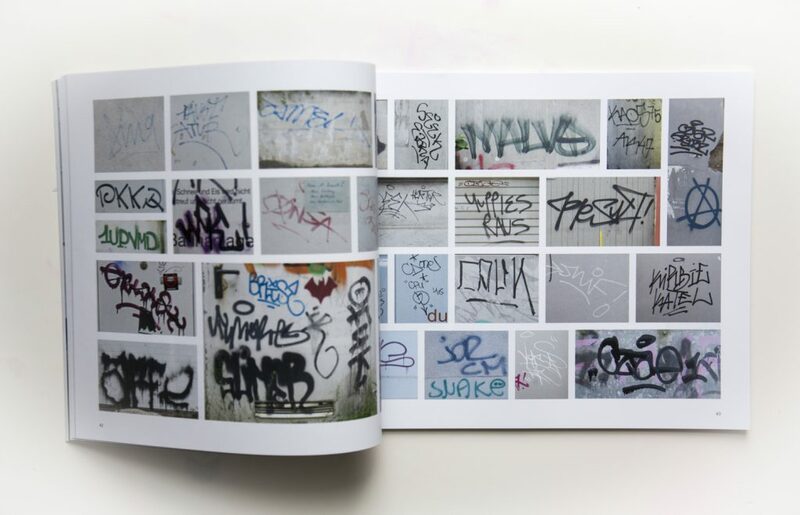 Other pages are dedicated to throwups with white fills, without fills, and chrome dubs. Different types of graffiti strewn doors and shutters are organised together as well as a final section of colourful streets and tracksides. Between the chaotic typography, fading paint and urban bric-a-brac there’s a lot to look at in Gossenpost. A great whole page spread shows a piece, painted onto a glass tile wall, which has had hundreds of tags scratched into it. Other well observed photos show a wall of interchangeable concrete slabs with segments of different letters jumbled up across it. Another anomaly has two windows covered in tags while the wall they are placed in is perfectly clean. Some graffiti are signs of our times such as the ACABs or “yuppies raus” across a shutter. Older expressions of nationalism and communist internationalism continue to appear too. All-in-all Gossenpost successfully covers the graffiti that’s often overlooked. 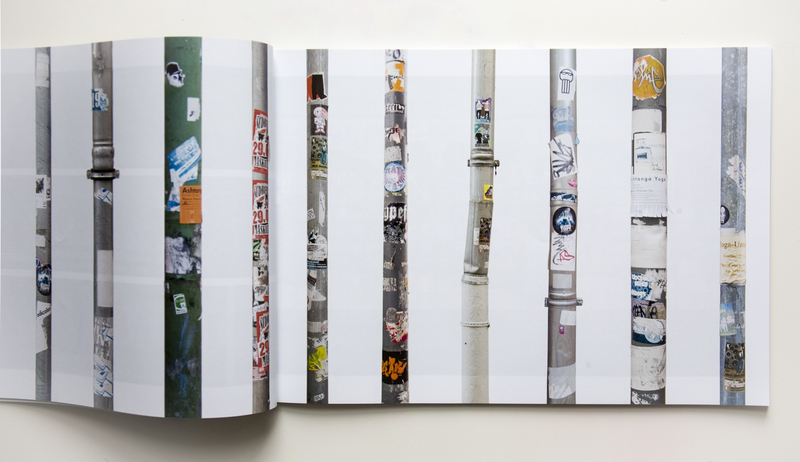 It has some nice photographic concepts and maintains a clear layout while also giving a flavour of the streets. The second issue, to look out for, is on its way which will focus on marker tags found in Frankfurt and the surrounding area. Finally there’s plenty of ornamentation in the form of the Ⓐ sign in the mag too.